Herts Baseball Club is affiliated with the British Baseball Federation, Little League Inc. and the British Softball Federation. We are one of the largest baseball clubs in the UK. We have three teams playing in the various league tiers of the British Baseball Federation. The Herts Falcons, which is the club’s first team, was promoted to the National Baseball League in 2009, after becoming Triple-A League National Champions in 2008. In 2012 the team was a runner-up in the National Baseball League and was ranked 38th in Europe. The club has a very successful youth programme. Achievements include U14 National Champion in 2010, U14 National Runner-Up in 2011 and U17 National Runner-up in 2013. Many Herts players also play for the Great Britain National Teams. Herts Baseball Club is frequently featured on BBC and other television channels and radio stations. The Club has two ballparks – Grovehill Ballpark in Hemel Hempstead and the Ballpark in North West London which opened in 2015. It has made substantial investments in the ballparks and baseball facilities with support from the National Lottery, BSUK and many other organisations and partners. 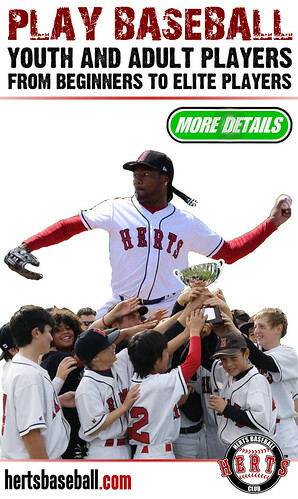 As a result Herts Baseball Club is becoming a regular host of high-profile events such as the National Baseball Championships, Herts Spring League, Herts Futures Tournament, Hunlock Series, and others.